ABB Australia announces that its customers can now order distribution transformers online. Leading power and automation technology group ABB has expanded its BusinessOnline services to enable its Australian-based customers to purchase distribution transformers online for the first time. The new online service for distribution transformers aims to improve ordering efficiencies for customers while enabling ABB to tailor its offering to match specific customer requirements. The BusinessOnline facility supports the customer from the early design stage, allowing them to specify and configure a distribution transformer, all the way to the actual ordering and follow-up of orders placed. ABB is promoting the online procurement platform to customers in Australia by offering a range of stocked distribution transformers at special prices. Key aspects of the online offering include access to drawings, technical specification, protocols, manuals and guides; product catalogues with technical and price information; standardised distribution transformers to be stocked making purchasing, easier and faster; easy and quick access to compare models, features and prices; and access to the ABB logistic chain. Fulvio Granata, ABB’s General Manager for Transformers in Australia explains that the new online ordering facility aims to simplify the buying process for their customers. Fulvio adds that the online platform now makes it possible for the customer to get a real-time integration to ABB's back-end systems. Easy-to-use features support the customers’ entire purchasing process, from the initial evaluation phase and specifying product, through to ordering and receiving timely delivery of a world-class product. ABB offers a complete range of power and distribution transformers designed to grant the reliability, durability and efficiency required in utility, industrial and commercial applications. 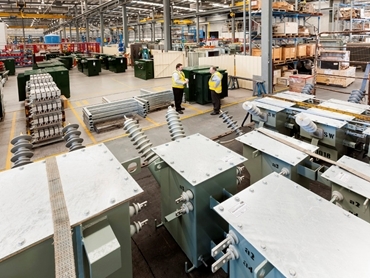 ABB is a major transformer manufacturer with more than 55 manufacturing sites globally including facilities in Perth and a large service unit in Sydney, Australia.